You know how they say the grass is always greener on the other side of the street? For me, other writers’ books are like that too. The thing is, everyone else’s work just looks…easier. This is because you didn’t watch them sweat over the same paragraph for three hours. Or see them stop after each painfully wrung sentence to go to the refrigerator. You don’t know that at times they would rather organize their pantry (and possibly did) rather than write those words that seem so seamless now. You don’t know how many loads of laundry it took them before they finished that chapter. Or how often they stopped and stared out the window to watch a squirrel sprint down a tree before they completed those pages of dialogue that seemed to trip off their characters’ tongues and made you laugh out loud. 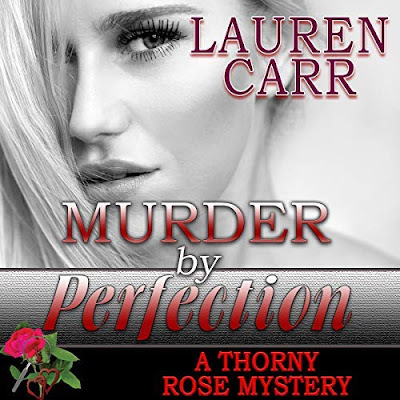 Yep, other writers’ books appear so effortless that sometimes you want to weep with envy. They flow in ways that can only be true from afar. You’re certain as you read those other writers’ books that those other writers have depths of understanding that you do not possess. You know that their characters sprang from their fingers onto the page fully formed and wonderfully wounded with their back story complete and intact. I explored this special relationship in The Accidental Bestseller, which is told through the points of view of four writers who’ve been friends for a decade and who discover just how far they’re willing to go to help each other survive the publishing industry. That book is especially close to my heart and as true an accounting of what it is to be a writer today as I was able to write without having to label it non-fiction. I wrote it because of, and in homage to, my own writer friends. Of course, there are times when you just can’t connect with your writer friends when you really need to, and then that greener grass can rear its ugly green head. That’s when it helps to stop and remember that your book is an ‘other writer’s book’ to some other poor soul who may even now be staring out the office window searching for the squirrel of inspiration. Note: Wendy’s new book, Magnolia Wednesdays, also centers around women’s friendships. This time that friendship develops at the fictional Magnolia Ballroom, where class is in session every Wednesday night. Thanks to Joy, I have one copy of this book to give away to US and Canada only. Contest ends March 10th. To enter: Must be a follower. It is mandatory that you leave a comment about this post or a question for Wendy. I think her new book Magnolia Wednesdays looks wonderful. I agree with your comments about shared feelings between writers (or whatever profession). It always helps to know that someone else has been or will be in almost the exact same place. I think a circle of close friends is a real blessing, whether one is a writer, or a retired teacher who loves to read, and feels a need to share that love of books. Perhaps you can guess I'm that person. Thanks for the giveaway; the book sounds wonderful. I love the premise of this book. It's great to have a support group to bounce ideas and concerns off of no matter what profession you're in. Magnolia Wednesdays sounds wonderful. I agree it is important for everyone to have close friends especially if that close friend is in the same situation or profession with you. You will have someone to talk to, to listen and to comfort you when things doesnt work out. I am thankful that I have such close friends. I have known them since high school. Dear Lord, it has been so long but it feels like yesterday. I'm looking forward to reading this book! I stumbled on it while browsing on Amazon. I enjoy reading books about close female friendships. Makes me thankful for my own. I hate to admit it, but I have not had the good fortune of reading any of Wendy's books. I agree that close friends are good to have. You need someone that you can talk to about anything. I'm a follower and subscriber. Thanks for the post about the trials & tribulations of being an author and the importance of having a good support network to rely on! I'm following your blog. 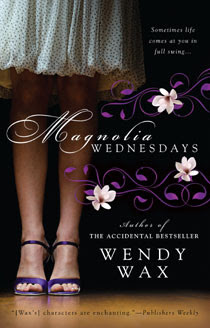 I haven't read any of Wendy's book(s), but I think Magnolia Wednesdays sounds like an interesting read!